Jaenen, Cornelius J.. "Capitulation of Montréal 1760". The Canadian Encyclopedia, 30 August 2017, Historica Canada. 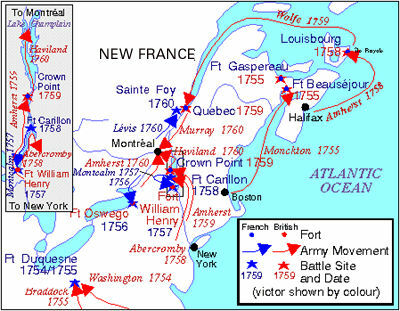 https://www.thecanadianencyclopedia.ca/en/article/capitulation-of-montreal-1760. Accessed 23 April 2019. During the summer of 1760, British forces advanced up the St. Lawrence River from Québec, down the river from Lake Ontario and down the Richelieu River, driving the French and their First Nations allies back to the island of Montréal. 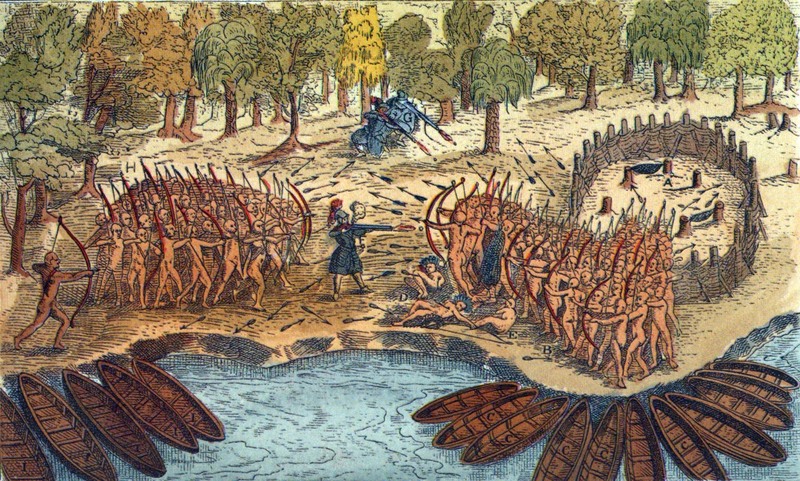 In August the Seven Nations of Canada, France's Aboriginal allies, came to terms with the British at Oswegatchie. The Canadian militiamen began to return home as James Murray had the farms of those who continued to fight burnt down. Governor Vaudreuil called a war council on 6 September and the senior officers recommended that he negotiate terms of surrender with General Jeffrey Amherst, whose combined forces were now in sight of the unfortified town. The terms Governor Vaudreuil accepted were much harsher than those imposed the previous year when Québec capitulated. They implied the surrender of the colony of New France. The first three articles denied the French army the usual honours of war. The colonists were given the choice of removing to France should the colony remain in British hands after the signing of a definitive treaty of peace. Private property rights and the civil law according to the Coutume de Paris were guaranteed, as was the freedom to practice Catholicism. Article 40 guaranteed the rights of France's native allies to their property and missionaries. Historians have been everlastingly grateful that Vaudreuil also asked that the archives of the French administration be protected. In addition to transferring control of Canada to a British military regime, the terms of the Capitulation of Montréal had additional importance in international law. Lord Mansfield, Lord Chief Justice of England, ruled in 1774 that the articles of capitulation had the force of an international treaty unless specifically rescinded.